perex__ Avast and other industry leaders attend conference on the latest cybersecurity strategies. perex__ We have clarified what data we collect and how we protect your privacy. perex__ Avast Free Antivirus scores 100% on Malware Protection Test. perex__ RSA attendees can learn about cryptomining, take part in the challenge, and even win a prize. 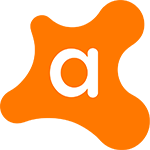 perex__ Using anonymous data from millions of users, Avast’s Android App Performance & Trends Report reveals which phones and apps the world loves most. perex__ Join Avast and the rest of the security world at RSA next week in San Francisco. perex__ State-of-the-art Avast web browser provides additional security, privacy protection, and speed. perex__ Learn the latest about smartphones, 5G, IoT, and, of course, security.